How to wear glitter without making a mess, how to make Amazon's Prime Wardrobe service work for you, and more from the Lipstick League this week. This week the Lipstick League wants to know: Do you have a favourite sheet mask? I love sheet masks for giving my too-often dehydrated skin a good long drink of moisture. 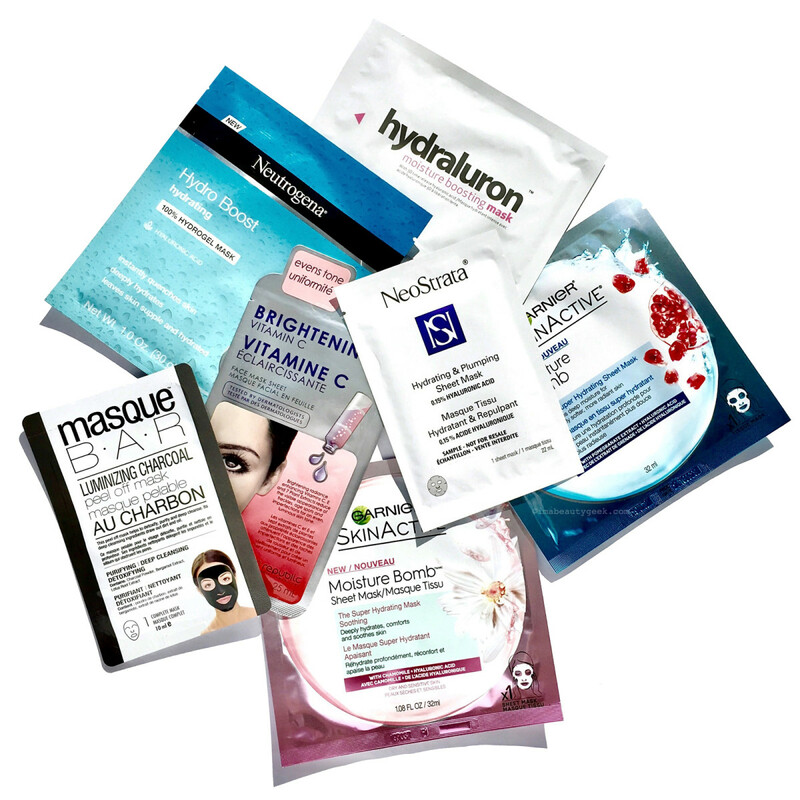 Favourites from Sephora include Dr. Jart Water Replenishment Cotton Sheet Masks, but there are a couple of drugstore masks I like just as much – or even more if I factor in the lower-cost advantage. As for Masque Bar, um... I haven&apos;t tried the Charcoal mask yet because I am obsessed with hydration. Bought this one on impulse; will get around to trying it eventually. 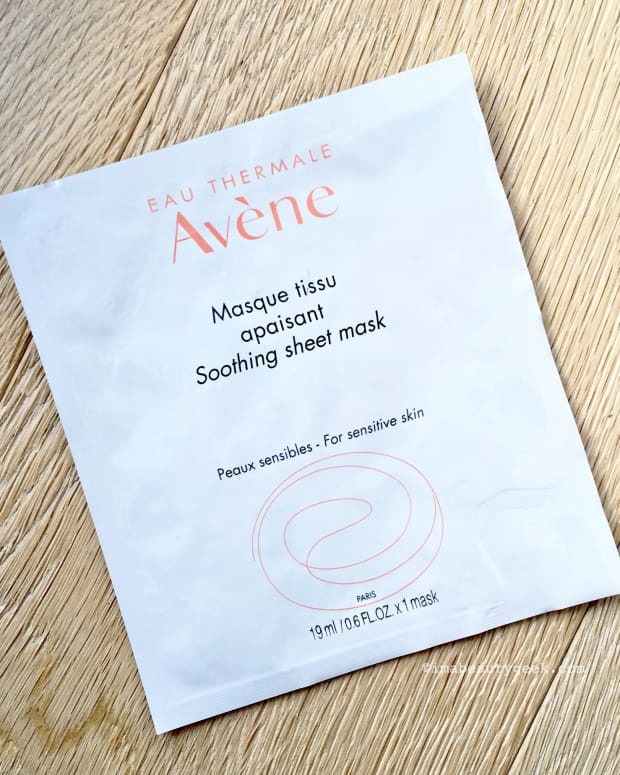 I&apos;ve tried other Masque Bar sheet masks though, and they&apos;re just too thin, material-wise and formula-wise, to provide my skin with enough moisture. Results are more like having my face licked once – *blech* – than a therapeutic hydration session. Also, I&apos;m unimpressed that Masque Bar has an "egg cream mask" that they&apos;ve put in packaging clearly ripped off from the excellent Too Cool for School Egg Cream hydrating mask I geeked out about here. I also like the Garnier SkinActive Moisture Bomb sheet masks in the blue and the pink packages, although I grumble that the "soothing" version (pink packet) has damn fragrance in it. They&apos;re less than $5 CAD each, though, and moisturize very nicely. And finally, my fave drugstore sheet mask is from Neutrogena, even though it isn&apos;t fragrance-free and there aren&apos;t any plans to release a scent-free version. *shrug. 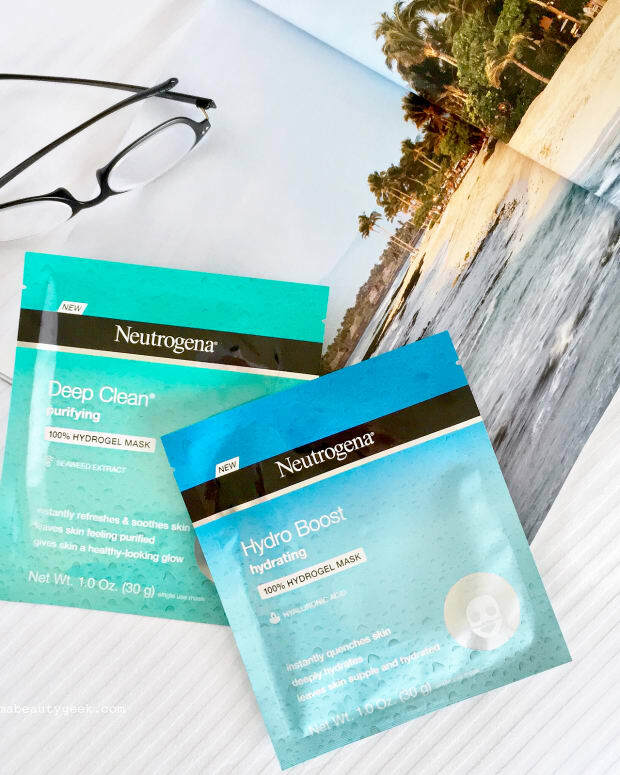 * All the Neutrogena Hydro Boost Hydrogel Mask geeky details are here. My Beauty Bunny has put together the ultimate bridal beauty wedding prep guide with timelines for every type of beauty treatment. Are you a bride-to-be, or know someone who is? Bookmark this one! Painted Ladies With Halloween and the Holiday season upon us, festive makeup looks are in the works. Sheila shows you how to wear glitter without making a mess! Phyrra You’ve got to hear all about the new makeup from The Makeup Show Orlando, plus see Courtney&apos;s makeup haul! Slashed Beauty Have you heard of Prime Wardrobe? It’s a new Amazon service where you can try on clothes for free before purchasing! Check out Miranda&apos;s Prime Wardrobe review and haul! Beautygeeks is 100-percent convinced you all need this lipstick right now. Right now! Blushing Noir With the right tips and tricks It’s totally possible to do a cut crease on hooded eyes! EauMG If Victoria had to choose a perfume of the woman that she wishes to become, it’d be this one. My Beauty Bunny is Currently Craving the Urban Decay All Nighter Setting Powder. Quite frankly, this is the first time Jen&apos;s been “craving” something she already owns, but it’s THAT GOOD! It’s a holy grail powder that make her pores looks invisible, sets makeup, and keeps her from being shiny. She wants a back-up! 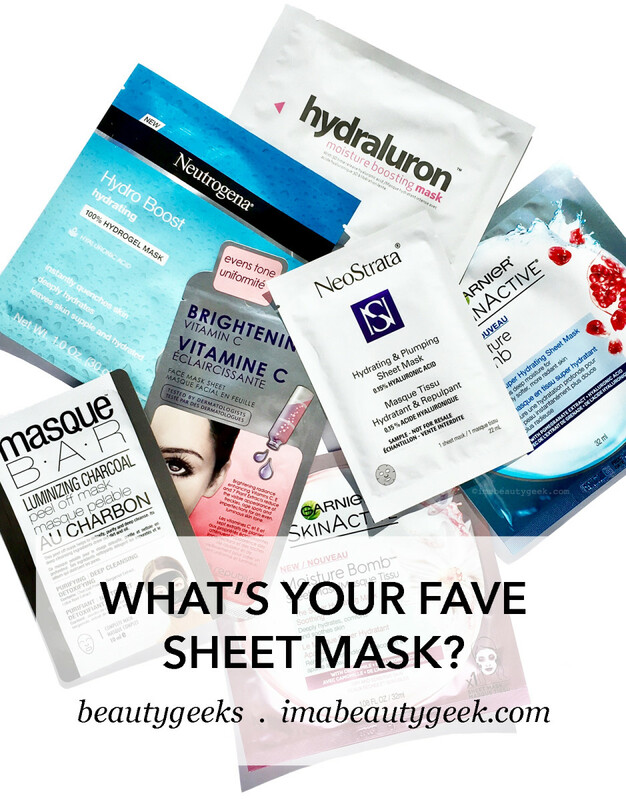 So, do you have a fave sheet mask? Doesn&apos;t have to be drugstore, of course. And if you know of a fragrance-free hydrating sheet mask, please tell me about it! DR. JART WATER REPLENISHMENT COTTON SHEET MASK ingredients: Chamomilla Recutita (Matricaria) Flower Water, Butylene Glycol, 1,2-Hexanediol, Glycerin, PEG-32, Hamamelis Virginiana (Witch Hazel) Extract, Glycereth-26, Sodium Hyaluronate, Hydrolyzed Collagen, Cereus Grandiflorus (Cactus) Flower Extract, Olea Europaea (Olive) Fruit Extract, Panthenol, Polyphosphorylcholine Glycol Acrylate, Arginine, PEG-60 Hydrogenated Castor Oil, Ethylhexylglycerin, Disodium EDTA.